the crew of a lone imperial AT-AT must seek refuge, safety and possibly redemption in the aftermath of the Battle of Endor (Heroquest 2 system). 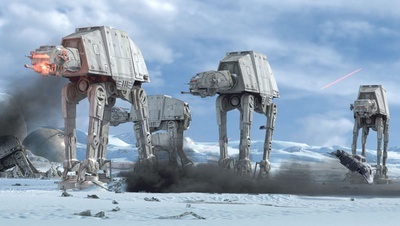 STAR WARS: AT-AT has no Events. STAR WARS: AT-AT has no Territories. STAR WARS: AT-AT has no primary characters. STAR WARS: AT-AT has no notes.